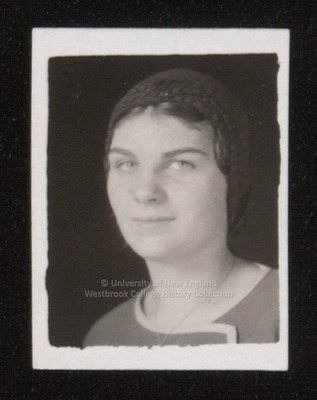 A ca.1934 Westbrook Junior College student portrait has written in pencil on the back S. Ingalls. Miss Ingall's hair is covered with a knit cloche hat. She wears a single chain necklace and buttoned suit jacket.